This concise message, a telegraph, was sent by Jan Świdziński, Polish artist and theoretician of Contextual art to Amerigo Marras, architect, curator and one of the founders of the Centre for Experimental Art and Communication (CEAC) in Toronto. It announced Świdziński’s impending arrival for the Contextual Art Symposium, to be held in Toronto in November. At the same time, this modest document reveals part of a broader exchange between two men who collaborated on this event, despite broken English, different customs and the tardiness of postal services. Their letters crossed the ocean back and forth, to bring to life an event that gathered artists, critics and theoreticians who were on the lookout for practices that combined conceptual attitude witih social engagement. The event gathered artists, critics and curators from several countries (including the United States, France and Poland) to explore the role Contextual art would play as a counterpoint to Conceptual art. The theoretical framework created by Świdziński, and the space he left open for interpretation, was eagerly filled by the participants and organizers of the seminar. Świdziński’s attempt to connect artistic practice with its social surrounding suited the counter-establishment profile of CEAC. This artist-run institution combined the experience of Conceptual art with practices such as body art that challenged existing social and gender stereotypes. (4) CEAC was established by the Kensington Arts Association, which despite a rather posh-sounding name, was an avant-garde artist collective. It existed for a short time, between 1975 and 1978, and was located first at 86 John Street and, from 1976, in an abandoned warehouse at 15 Duncan Street, where it functioned as a “studio, resource centre, gallery, and performance space for the collective.” In 1977 in the same building, Crash ‘n’ Burn, the first punk club in Canada, also opened. Świdziński’s concepts, although criticized by Marras and other participants of the seminar, mostly for being too theoretical and distant from social reality, served as a trigger for further discussions about the ways art after Conceptualism can re-engage with society. As such, Contextual art travelled further and evolved both as a form of artistic practice and in subsequent seminars held in Poland and abroad. Sylwia Serafinowicz is a Collections Curator at the Wroclaw Contemporary Museum, Poland. She is also a PhD candidate at the Coutauld Institute of Art in London, member of the British section of AICA and a regular contributor to Artforum magazine. 1. Its fame, however, seems proportionate to the scale of material currently left unresearched. Most of the writers who have touched on the subject so far have focused on a close reading of Świdziński’s theory encapsulated in the yellow book titled, Art as Contextual Art, published in 1976 by Jean Sellem, the manager of St. Petri gallery in Lund, and the essay “Twelve Points of Contextual Art” that followed. Information about feedback the theory received in Toronto is scarce. 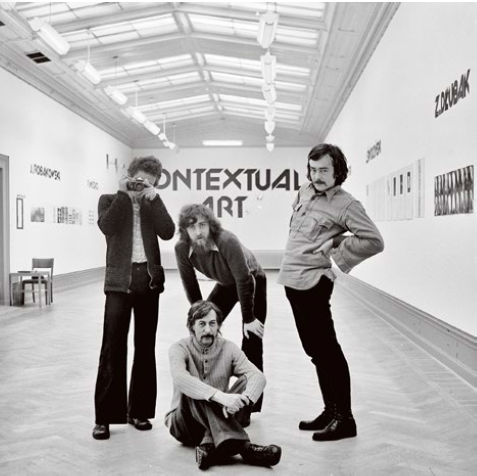 Several publications and films give special focus to the encounter between Jan Świdziński, playing the role of the father of Contextual art and Joseph Kosuth, portrayed as the spokesman of American Conceptual art. The process of glorifying this encounter between two artists and thinkers reached its climax in a documentary film from 2009, realized in a collaboration between Jan Świdziński, Lukasz Guzek, a critic, and Piotr Weyhert, artist and film director, titled Jan Świdziński: In the Context of Art. The crucial part of the film is a depiction of an arranged reunion between Kosuth and Świdziński in 2007 in Kosuth’s studio in Rome. See also L. Guzek, “Context and local actions: Background information to developing the Local Actions Project,” The Recent Art Gallery, A. Markowska, Ed., (Wroclaw: Wroclaw Contemporary Museum, 2014), 325. 2. Świdziński, “Art as Contextual Art,” Parachute 5, Winter 1976. 3.York University Libraries, Clara Thomas Archives and Special Collections, Centre for Experimental Art and Communication (CEAC) fonds (F285), 1981-010/014(6) Contextual Art, Day 1, Basic Editing, transcript, p. 2. 4. CEAC in December 1975 held an event titled “Body Art” which consisted of a series of performances, projections and readings. 5. 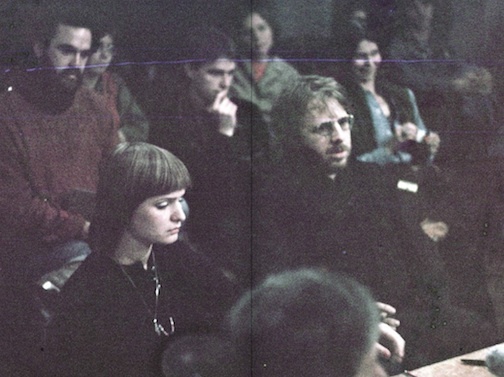 Collectif d’Art Sociologique was a collective of artists: Hervé Fischer, Fred Forest and Jean Paultineau established in 1974 in Paris to rethink the relationship between art and society. 7. York University Libraries, Clara Thomas Archives and Special Collections, Centre for Experimental Art and Communication (CEAC) fonds (F285), 1981-010/014(6) Contextual Art, Day 1, Basic Editing, transcript, p. 4. 9. Marianne Faithfull, Broken English, 1979.